This dessert goes very well with 70 degree weather. That's why we made it for two special occasions over the weekend. 2. Whisk sugar, cornstarch, cinnamon, and salt together in large bowl. 3. Add berries and mix gently until evenly coated; add lemon zest and juice and mix to combine. 4. Transfer berry mixture to a dutch oven and spread evenly. Bake until filling is hot and bubbling around edges, about 25 minutes. 1. 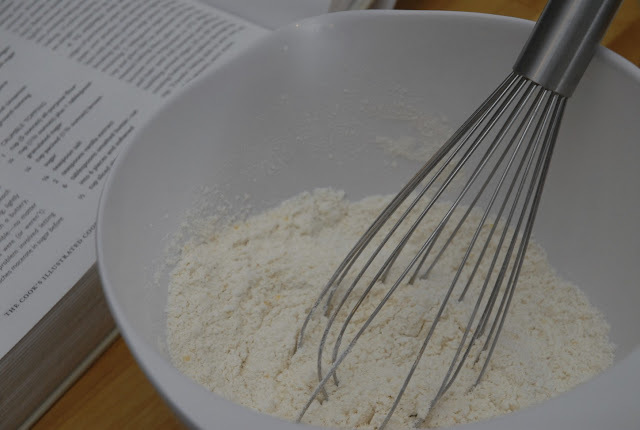 Whisk flour, 1/4 c sugar, cornmeal, baking power, baking soda, and salt together in a large bowl. 2. Whisk milk, melted butter, and vanilla together in small bowl. 3. In another small bowl, combine remaining 2 t sugar with cinnamon. 4. 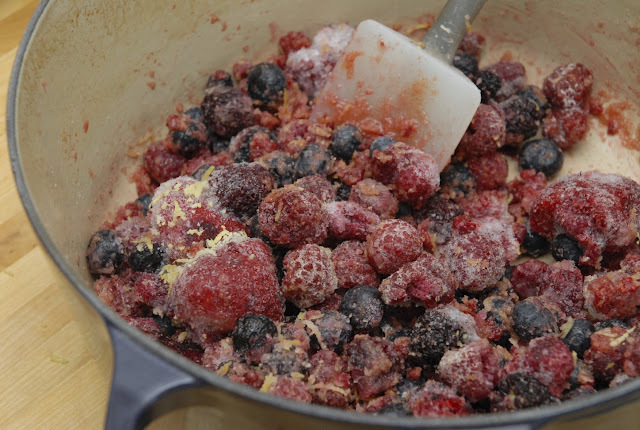 One minute before berries comes out of oven, add wet ingredients to dry and stir. 1. 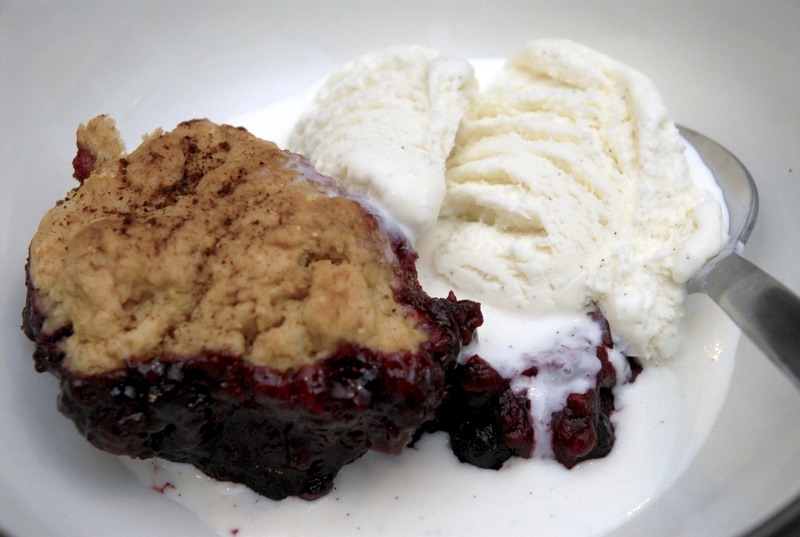 Remove berries from the oven. 3. 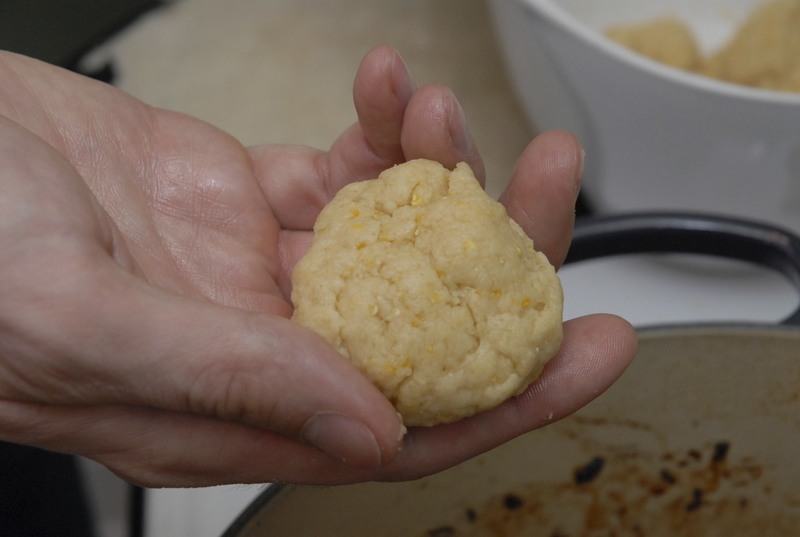 Divide dough into 8 equal pieces and place them on hot filling, spacing them at least 1/2 inch apart. 4. Sprinkle each mound evenly with cinnamon sugar. Bake until filling is bubbling and biscuits are golden brown on top and cooked through, 15-18 minutes. reminds me of your rehersal dinner dessert! So good a-la-mode. You know... with ice cream? Simply wondering if it would keep? I would like to honor this with a place at the dessert table this Thanksgiving, but I dont have much extra time to prepare. OR, could I just make the dough and the filling early? Recipe as presented is very hard to follow. It would be far clearer if it were arranged differently. I just did it with laptop propped up in the kitchen. I had to keep returning (scrolling) to previous segments of the recipe to see what measurements were, etc. The tests found that the Acai berry was the most concentrated source of antioxidants by far!